Heat pumps are one of the most versatile ways of controlling temperature conditions within buildings. Not only do heat pumps provide heating, they can also supply cool air and can be used to heat water. In addition to their versatility, they are also very energy-efficient using renewable energy sources such as air and water. With all this in mind, are heat pumps suitable for your particular home, place or business? If so, how can you ensure you get the very best out of them? In terms of energy efficiency, heat pumps are certainly one of the better options. Rather than generating heat like many alternative systems do, heat pumps work by moving heat around. 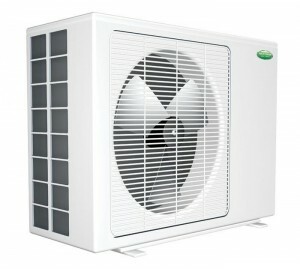 For example, air-source heat pumps transfer heat from the outdoors to inside your home and vice-versa. During the summer months, instead of spreading warm air, heat pumps circulate cool air around your home. This transference of air uses far less energy than generating the heat at source, meaning that your energy bills will be reduced. Although heat pumps are one of the greener forms of energy, they still require electricity to operate but this is fairly minimal. Even more energy efficient is the geothermal type of heat pump. These transfer heat either from the ground or a nearby water source to your property. As ground and water temperatures are fairly constant, the operating costs are relatively low. However, initial installation costs for geothermal pumps tend to be on the higher side. Comparing the two main types of heat pump, geothermal models work better in more extreme climates, whereas air-source pumps are better suited to the general climate usually experienced in the UK. Before going ahead with the installation of a heat pump, it is advisable to ensure that your property is well insulated. Effective insulation will trap the air movement produced by the heat pump, meaning the pump will not have to work as hard, therefore using even less energy. At first, the controls on a heat pump can seem a little complicated. To ensure that you are getting the very best out of your new pump, always be sure to ask the installer to take you through the means of operation. Remember, the better the performance of your heat pump, the lower your energy bills will be. The majority of people who have heat pumps installed do so to reduce their energy bills. Monitor your bills over the first few months of a new heat pump installation to make sure that your average energy usage has indeed reduced. If your bills have not improved as much as you expected them to, it could simply mean that a slight adjustment to the thermostat controls is needed. Check with your installer if you are not sure. As with any heating system, regular maintenance by a professional will prolong the life of your heating pump and maintain high levels of performance. It is usually recommended that air-source heat pumps receive a yearly check-up, while the maintenance requirements for geothermal or ground-source pumps are very low. As the world continues to move towards sustainable energy sources, the popularity of heat pumps will grow just as rapidly.